Google has significantly rethought its approach to hardware with the new Pixel and Pixel XL smartphones, devices designed and created by Google itself. It’s also rethinking how it sells devices, with the new Google Shop. 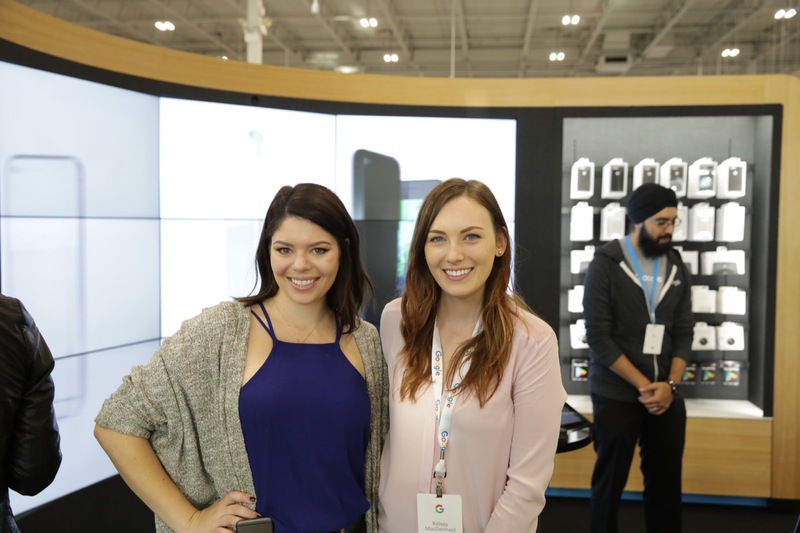 This fall saw Google introduce its Pixels, the Chromecast Ultra and the Daydream View VR headset, and to help sell those devices and show customers what they can do, the company is launching a store-within-a-store debuting in North America at select Best Buy locations in Canada. When it launched the Pixel at an event that also gave the first look at Google Wifi, Google Home and Daydream View, Google also revealed that it would be creating a pop-up Experience Store for users to check out its new wares in NYC. 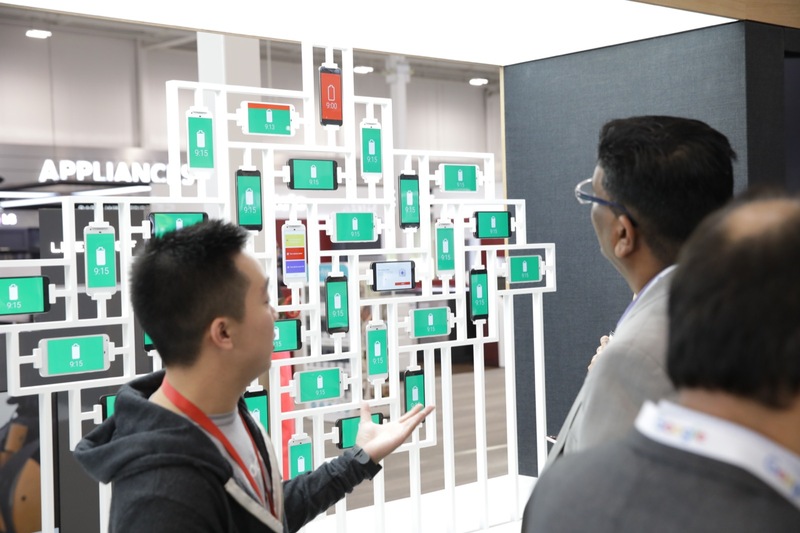 The Google Shops launching in Canada aren’t designed to be temporary, though; they’re places where Google hopes to not only showcase current and future devices, but also where it will seek to foster a sense of community among their users. Sound familiar? It should — Google Shop has an agenda of available activities open to the public, which is similar to the kind of in-store programming run by Apple. The decor is similar, too, but distinctly Google in its aesthetic, with light wood grain and gray fabric pairing up with playful hints of bright colors (the Google standbys). And because this is a shop within a shop, space is at a premium, but Google has actually made the most of limited space using custom-created modular furniture that nests when standing room is limited, but can easily accommodate, say, a small group of students with stool seating in a pinch. Products are grouped together, but special stations combine them when it’s meaningful to present them together; Chromecast with Pixel, for instance, or Pixel with Daydream View. A multi-screen display with a dial control takes up a whole corner of the space, too, giving visitors a chance to take Google Earth for a large-scale spin, for instance, or to track and hang out with Santa during a seasonal special event. Fischer’s referring to things like the “Portal,” the multi-screen interactive display I referenced above that lets shoppers fly over Google Earth or take a trip through the solar system. Google’s also bringing in YouTubers and others to run special workshops and sessions, including the debut event, an ugly sweater holiday-themed DIY event hosted by TheSorryGirls. Google Shops will host workshops and events, including an inaugural one from YouTubers TheSorryGirls. Fischer says they’ve made the space “super programmable” for this and product-focused tutorials run by “Google Guides,” full-time staff who are actually Google contractors rather than Best Buy employees. Sample classes include “How to plan holiday travel with Google Assistant;” Guides will also be able to help with more mundane tasks, including basic device use. Google launched three shops in the U.K. with Dixon’s, but Fischer says they’ve redesigned the entire experience because of their launch of Google’s own hardware devices. The Dixon’s stores were focused on software and services, Fischer says, but the introduction of hardware prompted and even greater focus on showing how they can use everything together. Again, it’s a model that sounds similar to Apple’s approach — and Fischer actually worked at Apple in their retail organization before joining Google three years ago. Google’s approach to physical retail sounds like it will have an additional, evolving hyperlocal element, however. Beyond even local programming, each Best Buy’s Google Shop could have unique digital content tailored to the city wherein it resides — as with a large “Mississauga” digital sign adorning the Portal at this location, indicating the Toronto suburb where the store’s located. A retail presence is something that’s been key to building a premium mobile device customer base that’s sizable and loyal, and it’s not something Google has really had with its previous Nexus program. Google Shop looks like a good start to achieving that, with a lot of attention to detail clearly undertaken, and a willingness to learn from feedback as the company evolves its approach to retail going forward. While the approach is promising, it seems to be limited to the U.K. and Canada — at least for now. “We don’t have any plans to do anything in the U.S. right now,” Fischer told me, but the investment and care very much suggest to me this is a prototype for bigger retail plans to come.